Negative also. 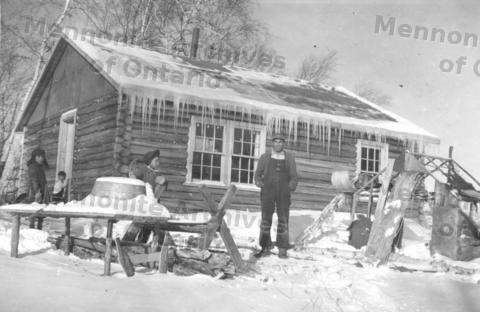 A native Indian man stands in front of a log house; 3 children also in photo. A newly built dwelling for this Indian family? See CM 7-16-7 re. task of Henry Neufeld to assist people to build better houses. Probable location is Pauingassi, Manitoba.